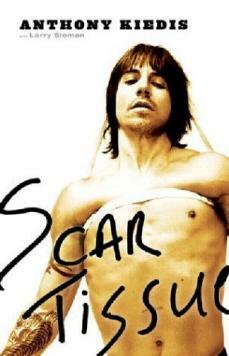 Scar Tissue is the honest and ‘access all areas’ autobiography of RHCP vocalist Anthony Kiedis( co-written with Larry Sloman). It chronicles Kiedis’s life from inception through to early 2004 and covers all aspects of his life from his childhood, his acting career, his girlfriends through to his drug addiction and stints in rehab as well as giving insight into some Red Hot Chili Pepper songs, the band and Anthony Kiedis’s relationships with other band members. The title is clearly a reference to the single ‘Scar Tissue’ from the Red Hot Chili Peppers ‘Californication’ album. Every RHCP fan should own and have read this book as it provides such an insight into the band and its vocalist. The book is currently being used as the basis for a TV series called ‘Spider and Son’.